Kinwood Multimedia Inc., since its inception in 1990 has catered to the law enforcement, government and security market segments. Kinwood Multimedia has the resources, expertise, competence and reputation to service and supply the Police Services effectively. 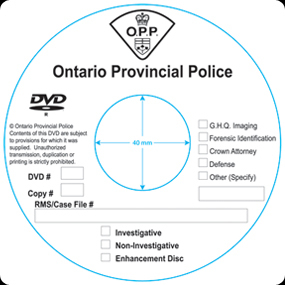 From the supply of VHS tape to the onset and implementation of the digital recording media that is currently used today by police services. Kinwood Multimedia was instrumental in the research and development of the digital program for many services in Canada. Kinwood is the most experienced vendor in Canada to effectively meet the requirements of your police services under one roof. For more information, please feel free to download our Police Services PDF. Copyright © 2012 Kinwood Multimedia, Division of Kinwood Audio Visual Inc. All Rights Reserved.